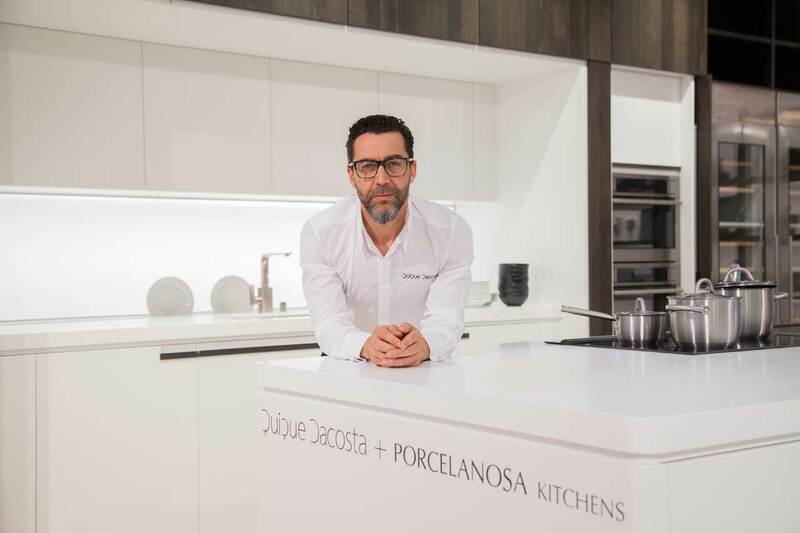 GAMADECOR, a company belonging to PORCELANOSA Group, has been put in charge of PORCELANOSA KITCHENS. With its continuous desire for improvement, they have been assisted by renowned chef Quique Dacosta, winner of 3 Michelin stars. This collaboration has given rise to the design of this reinvented, spectacular, functional kitchen. The “PORCELANOSA Kitchen by Quique Dacosta” project uses the compact mineral KRION® for an island with a countertop which acts as a large work area. The decorative cooker hood is also made with KRION®. The project demonstrates design and practicality, allowing us to enjoy the space whether it is installed in professional restaurants or in our own homes. You can enjoy this spectacular design by visiting the GAMADECOR Showroom; and if it is not possible for you to visit our facilities in Villarreal, we recommend our virtual visits, where you can access all exhibitions of the Group through the Website or by downloading the PORCELANOSA app for IOS . We would like to take advantage of this opportunity to tell you that the new virtual KRION® 2016 Showroom visit will soon be available on our KRION® website.